The DMT Dia-Fold Flat File Sharpener is 5.25" and made of clear composition handle which folds around sharpening file for convenient storage. Fine grit file measures .75" at base and tapers to .25". Single sided diamond surface flat file is perfect for confined, narrow applications in the home, shop or garden. 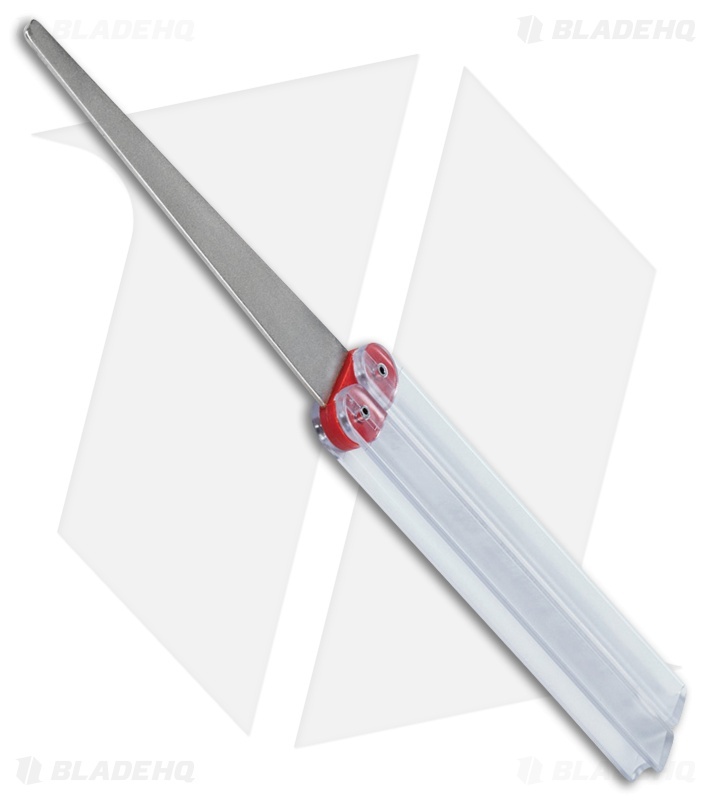 A 5.25" clear composition handle folds around sharpening file for convenient storage. 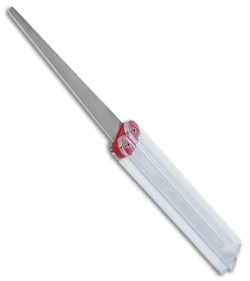 Fine grit file measures .75" at base and tapers to .25". Single sided diamond surface flat file.